Thursday 26th July will see the 10th anniversary of our Motorsport Open Evening at Newtown Motors, Cwmbran. 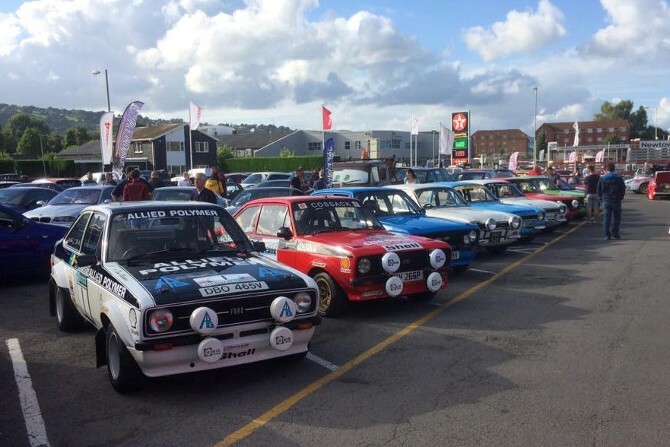 Over the last 10 years the event has grown from around half a dozen motorsport cars to more than 20 rally cars and a number of more exotic road cars. Newtown Motors have also done car unveilings in recent years including a special Lotus model. Every year Forresters Car Club raise money for their chosen charity. This year’s Charity is Blood Bike Wales, a fantastic service for the whole country. There has also been charity Morgan rides and raffles. If you would like to find out about motorsport in your area, pop along to Newtown Motors (NP44 1QX) on the 26th July from 7pm. The event is free to attend.